A full page illustration, art directed by Deanna Donegan, for the May 22, 2017 edition of The New Yorker. 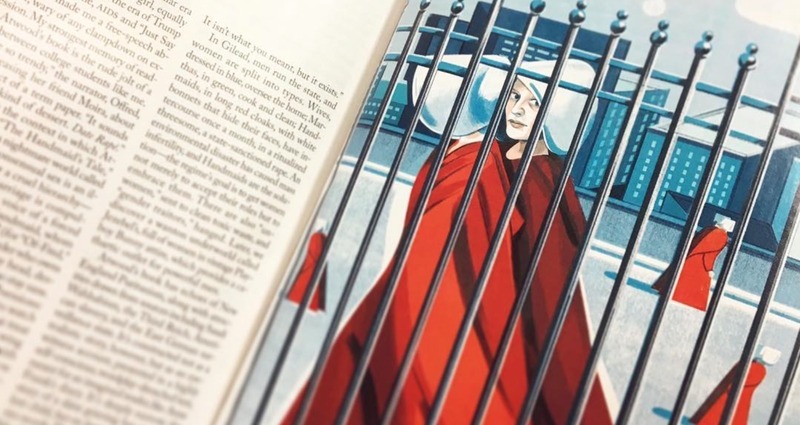 It accompanies a feature on the live action television adaption of “The Handmaid’s Tale” by Margaret Atwood. The brief for this assignment was to create an illustration that would appeal to fans of both Hulu’s version of the Handmaid’s Tale as well as Margaret Atwood’s original text. 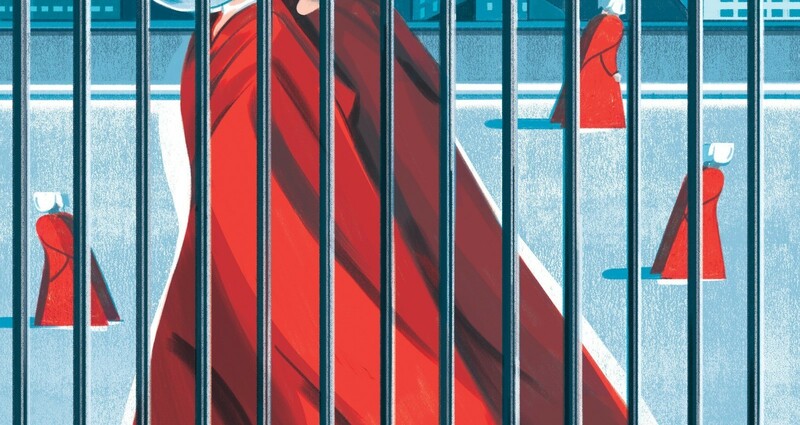 Also it was important to recognizably depict the actress Elizabeth Moss since the article was very focused on her performance as the main character Offred. For me the hardest technical aspect of this was simply the face of the actress! I’m a fan of the book and have also seen the show so the iconography of the story was fairly ingrained in me and it was easy explore ideas about the exteriors of the dystopia that the maids had to traverse and the interior spaces where the worst oppression happen. Somehow the ironic device of having Offred outside but still enclosed and trapped by the visual device of a barred fence came easily! I thought likeness would be the least of my worries in depicting a story that’s about the control and degradation of woman, but nope. Elizabeth Moss has the most nuanced face I’ve ever had to draw and it took a few rounds to get her to where she needed to be to bring this piece home.